It is that wonderful time of year again!! Can you believe that Christmas is only a few weeks away?? I started my Christmas shopping early this year , I actually have a couple of the adult kids taken care of already. Which to be honest with you is a SHOCK to me!! I love , love , love to shop and Christmas is my all time favorite time of year. However , the adult kids are almost always the last presents I get each year. I have 6 grandchildren I have yet to purchase their presents, so I will be busy with that soon! I am sure my household is like just about everybody else’s and finances are a little tight, so that is why I am so excited to be a part of this Giveaway Hop! I love giving my followers a chance to win some extra $$ and gifts to use for Christmas presents. 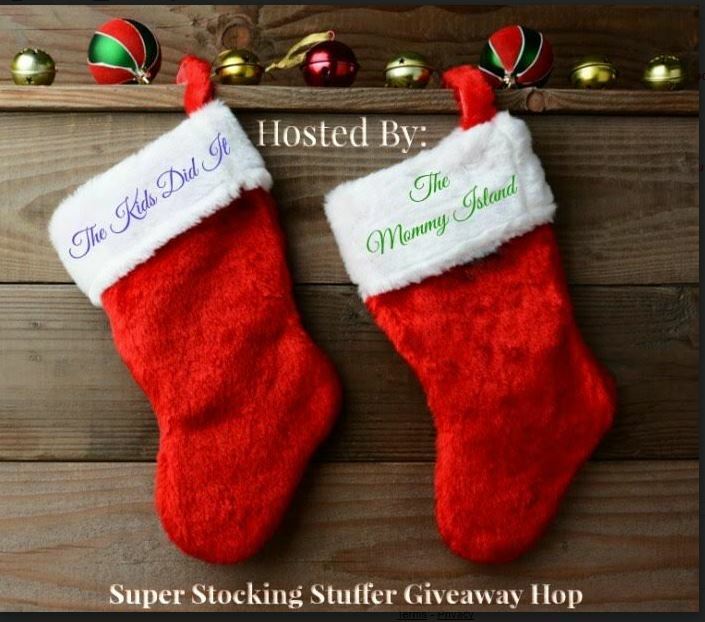 The Super Stocking Stuffer Giveaway Hop has been an annual event for several years now. 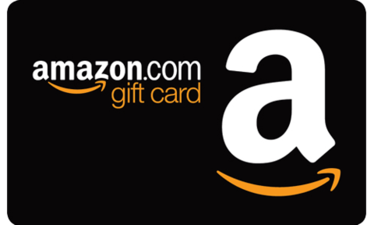 I am excited to once again be a part of it and bring to all of my followers a chance to win a $10 AMAZON GIFT CARD!! In addition to that FROG Reviews and Ramblings has teamed up with TONS of other bloggers to bring you some incredible giveaways going on over at their blogs!! There’s lots of chances to win cash and prizes up for grabs in this hop this year, so be sure once you have entered to win the prize I am offering you that you scroll to the bottom of the page and enter the other giveaways!! My favorite Christmas present was my son, who was born right before Christmas in 2004. My favorite Christmas present I have received was the Jane Seymour Open Heart necklace. My Telescope was my favorite gift I received. My favorite Christmas present that I have ever received was my mothers ring with my son’s birthstone and name on it. I got my first dog as an adult before Christmas, and it was amazing. My favorite Christmas present was when my mom gave me my grandmother’s engagement ring. My favorite Christmas present was a handbag I got a few years ago. My MIL bought me Pioneer Woman plates last year that I love. A new laptop, I used it for 9 yrs. Also new phone. My favorite is hearing my kids say they loved their Christmas and was happy with all they received and all they did for others to help make their Christmas the best. My kids love going with their church group to feed the homeless and it is awesome. My favorite Christmas gift was a hand printed in cement ornament of my daughter. I like my frame family pictures. My favorite Christmas present was a new puppy when I was 12! My favorite Christmas present was my bicycle. I have received many lovely gifts over the years. But my favorite gift was the birth of my youngest, who was born on the 20th of December and we got to go home just in time for Christmas with his older brother and sister! My favorite Christmas gift was a rescue dog that my husband got me. My favorite Christmas present was my monthly friend on Christmas 2 months after my son was born. My favorite has been jewelry. Perfume from my sons when they were little. I miss getting goody bags from my granny as a kid. What is your favorite Christmas present you have received? My favorite Christmas gift I have ever received was my first dog, it started a life long love of rescuing animals. Honestly I really cant recall a best christams present received as a child but as a mother its the homemade Christmas ornaments from my children. 5 years ago i got my daughter for christmas! As a kid, my favorite gift I received was an Atari 2600! My engagement ring from my now husband many years ago when he asked me to marry him!!! My favorite was an engagement ring on Christmas 1981. As a kid, my favorite present was a huge Barbie doll house. My daughter was born 6 weeks before Christmas and I have a picture of her in a pretty pink dress sitting in those little baby seats under the Christmas tree. So pretty…love that picture. When my teenage son gave me a trophy for being a champion mom. I still have it. My favorite Christmas gift was and is still ongoing is a monthly massage at a local spa. I got an American Girl doll when I was little. And every year after that I got more stuff added to the collection. My favorite gift was a bicycle when I was seven. I would have to say a necklace with my fathers picture on it. One year I got an Alaskan Cruise. By far the best present ever. My favorite Christmas present was from our son and daughter on a Christmas Eve. It was a baby onesie with a picture of a sonogram and it said see you in August GMA & GPA. I will never forget that night! The presents my boys made for me are the best gifts I’ve ever received. My ouggy is my all-time favorite Christmas present I ever received. I think the chocolate truffles my daughter made for me in kindergarten was one of my favorite gifts. She was so proud of herself…and couldnt wait to eat them with me! My favorite Christmas present that I have ever received was my engagement ring. The ornaments that my boys made me when they were in grade school. I still treasure these 20+ years later. My son was born 3 weeks before Christmas. So the was my favorite present. A kitten that my parents got for me when I was 6 years old. They had me do a hunt thru the house to find it. I really liked the year I got my first American Girl Doll. My first Baby Alive doll was my favorite Christmas gift. A puppy! My parents surprised us when we were kids! She was the best dog! A kitchenaid over 20 years ago. It’s the gift that’s always giving to all. Last year, my husband got me a “night sky”. Basically a star mapping of the night we got married! A kitten my family give me, the best gift ever. My husband proposed on CHristmas 2008! A laptop is the best gift I got, even though it is a bit large for a stocking. My daughter painted me a portrait of my favorite classic rock star. My favorite gifts I got was an Oakland Raiders sweatshirt and gloves. Woot-woot!! Thanks so much Sandy for the opportunity to participate in your giveaway and for the great news on winning! !